My name is Miss Melinda. I am a Metaphysical Practitioner and Spiritual Consultant with over twenty-five years experience. I have been studying, developing and practicing my personal philosophies and techniques for most of my life. I am a Professional RootWorker with practices rooted in Shamanism, Spiritualism, and Folk Magick. I work with Ancestors, Saints, Spirits and Deities through prayer, meditation, divination, ritual and spell work. My Path: I am a Universalist Pagan making use of a large body of Spiritual knowledge. There are many ways to get to the same destination. I am a perpetual seeker learning from many traditions, many teachers, many Spirits and many Deities. My Mission: I am dedicated to the spiritual evolution of all people and a future of Spiritual Enlightenment on Earth. I aim to help you gain balance, access your core self, and increase your own intuition. Situations which I can assist with include, but are not limited to: removing obstacles, clearing paths, uncovering truths, developing intuition and gaining balance, purpose and clarity. 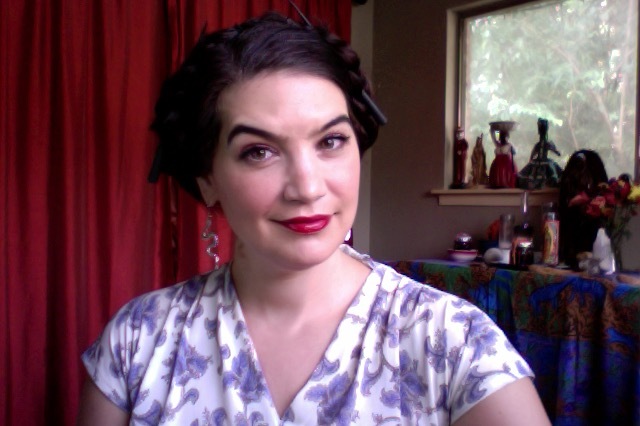 Myself and my Background: I am a natural born Witch and have been aware of the Metaphysical since childhood. I have degrees in Anthropology and Comparative Religion. I studied and practiced in a formal, Goddess driven, Coven for 15 years. I have participated in various workshops and study groups and will continue to do so. Constant learning = constant growth! Most recently I have participated in a Spiritualist learning group and am currently studying deeper perspectives on Shamanism, Channeling and the Lukumi tradition. I am an artist and a wife who seeks a rich and balanced life with Spiritual evolution at the center. Why I do what I do: This is my calling! Throughout my life many people seek me out for counsel and comfort. In a desire to share my Spirit-given gifts in service to others I have expanded my community and offer my services publicly. As an empath with tendencies toward healing and a strong intuitive nature I am intent upon assisting others to lead healthy, happy, balanced and fulfilling lives. This is my passion and the best way that I know how to enrich my own life and the lives of others! This is an abbreviated Spiritual advising service in which we can discuss whatever challenges or goals you are facing. In a free consultation I can give advice about general or specific topics, offer guidance for life's challenges, share information about Spiritual practices, offer tips for mediation, prayer or spell work, answer questions about deities or saints, or make recommendations for Spiritual Services.. to name a few! During a Spiritual Consultation I will advise you on a variety of topics. We can discuss difficulties, challenges, obstacles or goals in your life. Here I will direct you concerning Spiritual Work you can perform to help yourself, including (but not limited to): mediation techniques, spell work, and ritual. I may provide guidance about techniques for practicing magick yourself, advice concerning your personal Spiritual growth, and tips about meditation and psychic self care. Any Spiritual topics or problems in your life can be discussed in these sessions. Guidance and support will be offered along with practical advice and techniques. *There is no topic which is off limits and all consultations are confidential. * I offer advising via email, phone, Skype and video chat. I am a Spiritual Channel and Intuitive Empath with psychic knowing and an insightful relationship with the Divine. During a Reading I access my gifts of clairsentience, claircognizance and mediumship. 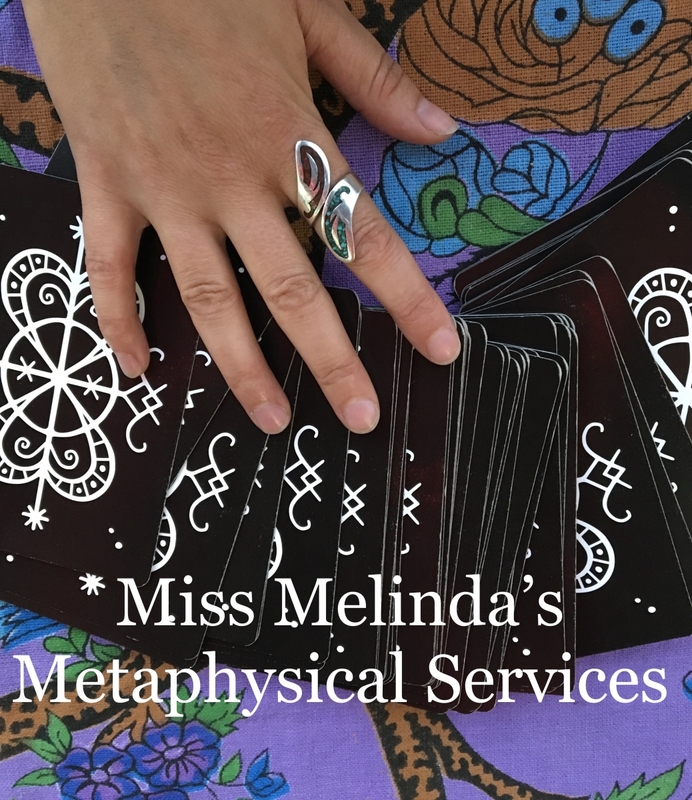 I offer a variety of Tarot Readings, candle Readings, wax Readings and psychic Readings. My Readings come from a Spiritual perspective and often reflect where you are in your journey of growth and development. Often they pertain to the present, as Spirit leads us toward working for a better future. When interpreting future events it is always important to keep in mind that nothing is ever set in stone. Spirit will show us our possible outcome if we are to continue on our current path. Spirit will also show us other possible paths and possible outcomes, making suggestions for personal and spiritual growth which offer us better futures. Through Readings I can help you access core truths and hidden messages to remove blockages from your life, assist you in making important decisions and in leading you to your higher self and true path. During a reading I will tune in to my higher self as well as with Spirit and the Divine to gain insight about you and your current situation. I am a gentle and kind, sensitive and nurturing spirit who will give you accurate and truthful information in a no-nonsense way. This is a kind or prayer Service to be distinguished from spell work or RootWork. A Spiritual Service is dedicated to a specific Saint, Spirit or Deity. In such a Service I intercede for you and send your petitions to the Spirit world. If the Spirit world agrees to work on your behalf then they help to manifest your goal by carrying your prayers for you and carrying energy to you. 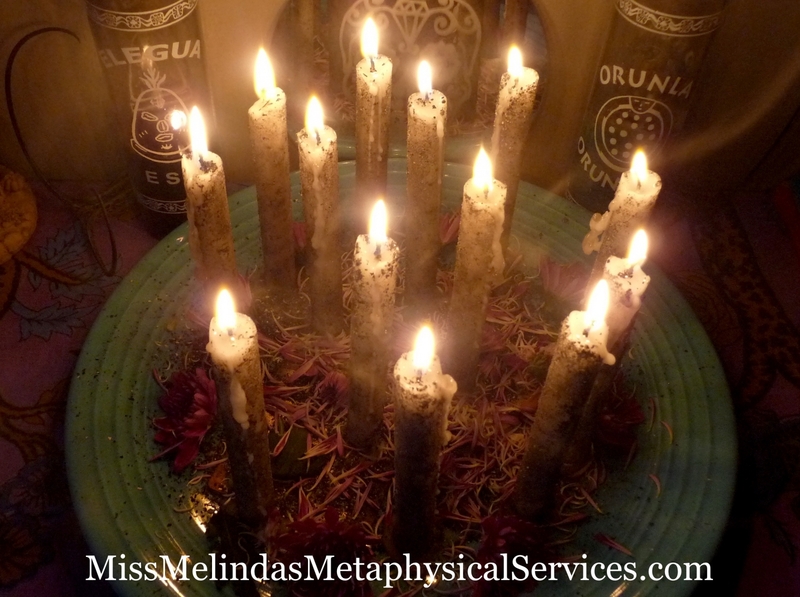 I offer affordable Group Services each month including Full Moon and New Moon Services. Additional Group Services are offered throughout he month. These Services are a great way to support on-going goals, or to add an extra punch to special prayers and petitions. If you have a very large goal in mind I may recommend you seek additional Services. RootWork can be used to help almost any situation and will be determined by your specific needs. All Services are written by me and are personal to my philosophies and techniques which have been developed over twenty years of practice. Many specific Services are already listed on my site. Please feel free to contact me if you have a need for Work which is not listed. Each of my Services are highly customized to suit the individual needs or the specific circumstances at hand. It is always possible to receive a custom Service. 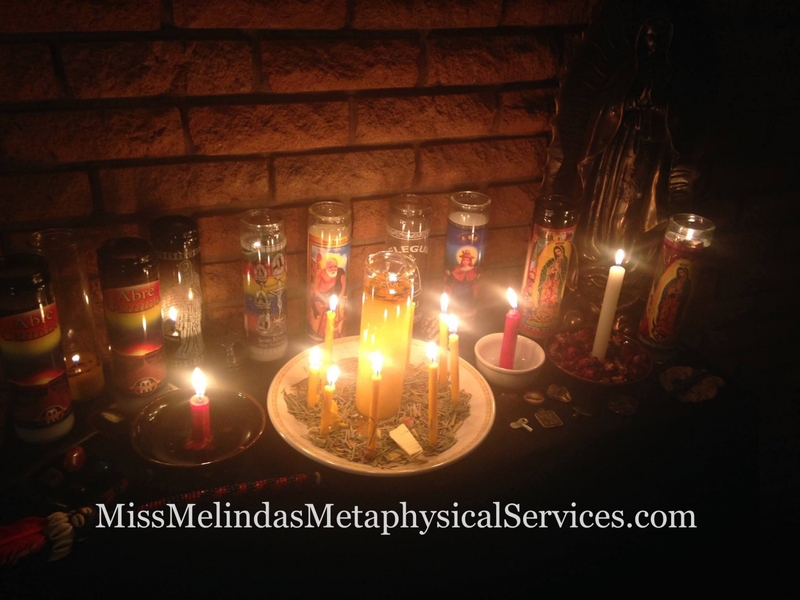 Each time that I perform a Service on behalf of a client I watch and interpret the candle flame and wax, using techniques of scrying and ceromancy. There are signs there which tell me about the client's circumstances and the outcome of the Services. In addition to this I often receive messages from Spirit on behalf of clients. All of this information in addition to photographs will be included in a detailed report upon completion of your Service. Guided meditation is a powerful way for you to take control of your situation through Spiritual, mental and energy work. This is the perfect thing to do when you want to change patterns within yourself, let go of the past, gain balance, release harmful emotions, develop your spiritual gifts or get in tune with your intuition (and more). Pre-made guided meditations are available as well as customized guided meditations. All meditations are written and performed by me. When you purchase a pre-made guided meditation you will receive your order via email within 24 hours. When you hire me to create a customized meditation for your specific goals you will receive your order within 2-3 weeks. All meditations are delivered via email in MP3 format. Upon booking your Services with me you will receive a confirmation email with a schedule date for your Work. The date selected will be my nearest availability which astrologically corresponds to the type of Work at hand.